This extraordinary custom home in the gated community of Carillon Beach is located on beautiful Lake Carillon and enjoys Gulf of Mexico views from the tower on the third floor. There are too many custom features in this home to even mention - from the wide plank white washed floors to the lighted quartzite countertops in every bathroom and kitchen to the handmade shell chandeliers to the gas lanterns, it is simply amazing. 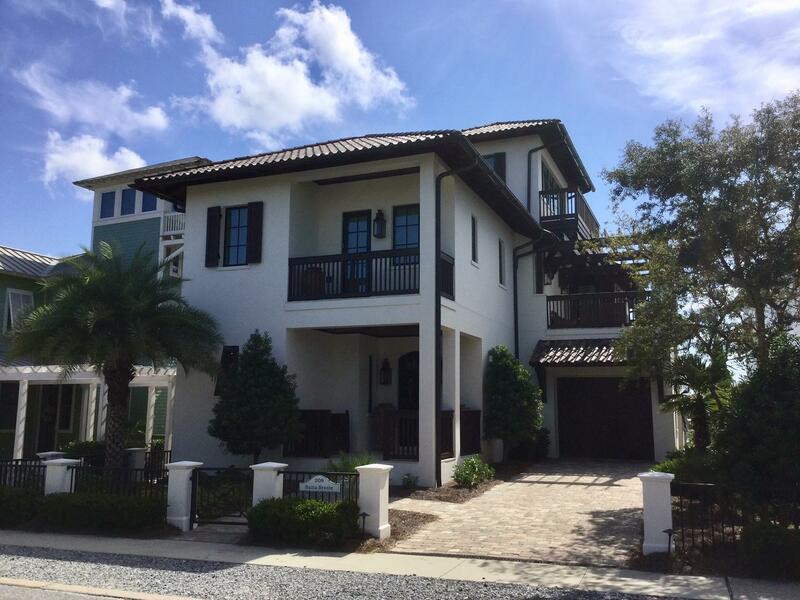 There are 4 bedrooms, 4-1/2 baths, an elevator, summer kitchen, outdoor alfresco dining area, garage, lakefront private beach area, bonus sitting areas in the master bedroom and on the second floor. Also on one of the second floor porches, there is an outdoor gas fireplace. The construction is solid concrete block and the roof is clay. EASY SHOW.